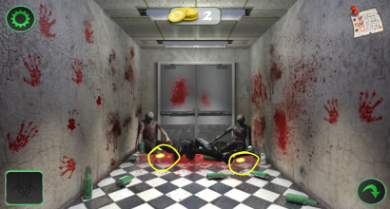 Pick up the two coins (1 in between legs of zombie, other on top of crate on left). 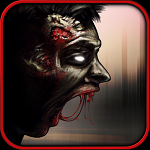 Go through the door and use your beretta to kill the four zombies. 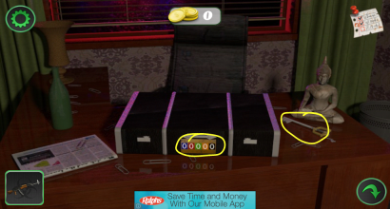 Take the two coins. 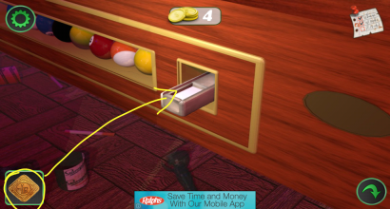 Go to the bar and put the special coin into the pool table. 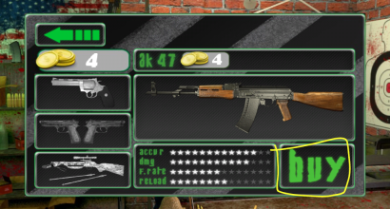 Go to the gun store and buy the ak 47. 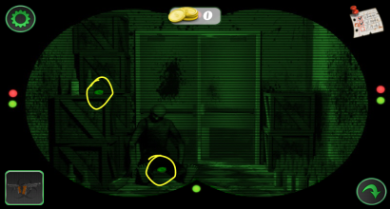 Go to the police station, all the way through the doors (use night vision again to get through second door), and use the ak 47 to kill the fat zombie. 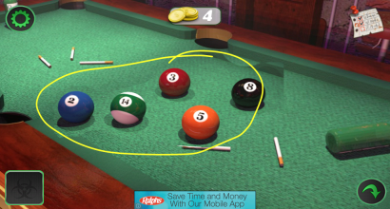 Take the key on the table, then use the numbers from the pool balls to open the case: 2, 3, 14, 5, 8. Take the taxi keys and the map. Proceed to the next part of Land of the Dead!